Three of Cassation, college will be established in the Supreme Administrative Court. This was decided today Plenum of the Supreme teach "Legal World". Present were 79 judges, 48 ​​of whom have supported the creation of a third college. The remaining 31 were opposed. Next Tuesday SAC judges will again gather to decide how the composition will be in the new college, how will be completed, what criteria will be elected judges, what will matter, etc. Within this week magistrates will have the opportunity to submit their proposals. The idea is the President of the Supreme Georgi Kolev, who on Friday sent the proposal to the Judges and the reasons for it. According to him, the creation of a third college will make possible the formation of registered permanent five-member panel. This, in turn, will suppress the criticism of the European Commission to you for the way of formation of five judges. 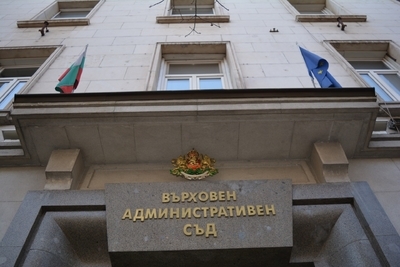 "The establishment of personal five-member panel in the current organization of work would continue the existing practice of replacing one member of the court with another, and constant interruptions hearings to replace members of the court who participated in the first instance, and would defeat such an organization ", says Kolev. And offers filling Chambers of five judges be done by seniority. The same day it became clear opinion of the Fifth Division of the SAC, which says that the creation of such an association does not find legal support. (2) The President of the Supreme Administrative Court shall notify the persons under par. 1 for the date and time of the meeting. (3) Persons under par. One may speak, but not vote. " The idea of ​​postponing the plenum, however, was supported by only 27 judges, the remaining 52 were for holding. During the debate on the proposal of Georgi Kolev, one of the judges argued that his intentions points to a new hierarchy that is introduced by the magistrates themselves as far plenum decided whether a new college, how to be, etc. Views expressed were that a small number of judges will create a practice instead makes the entire court, in what sense are the texts of the Constitution and the JSA. And concerns were expressed that this will ignore the judges, they will be deprived to participate in the final instance. Heard and proclaim that it is for the judges of the supreme court that the competitions for promotion already in you, but you will hear cases as district judges and their colleagues in seniority to watch cassation proceedings. Were shared and arguments so that lost specialization which, although artificially created her. Attendees of the Plenum proposed to enable all judges to participate in these permanent member panel because it is a guarantee for the formation of a quality justice. They added that contrary - grouping is kind of separation that can lead to feelings of prenebregnatost, hopelessness, which in turn creates an unhealthy atmosphere in the court. Others advocate a proposal supported by arguments so that YOU would have landed. Interestingly when the vote was that the judges and Andrey Ikonomov Emanoil Mitev, both from the Fifth Division who supported the opinion of colleagues on Friday, today voted contrary. They supported the idea of ​​creating a third college. According to the "Legal World" President inflects the name of the judge Georgi Cholakov. The second issue that was discussed at the Plenum is imminent choice of inspectors. Judge Diana Dobreva has communicated to his colleagues that intends to participate in the procedure, which her colleagues argue that it is not working for you. Dobreva judge explained that poses the question to know whether the moral support of the judges. However heard cheers from the type who will nominate, Volen Siderov he will do it, etc.